Teeth are easily stained and discoloured by a number of lifestyle factors. Certain drinks such as tea, coffee, or red wine can all cause discolouration of the teeth, as can habits such as smoking. Some medicines, medicated mouthwashes and medical conditions can also cause discolouration of the teeth. Many people also find that as they get older, their once white teeth become yellow and aged in appearance. At Greenside Dental Care we offer a number of ways to restore the natural, bright white appearance to your teeth. Our hygienist or hygiene therapist can remove much common discolouration from your teeth with a professional tooth clean. This is commonly known as a scale and polish, and involves the use of a range of special equipment to remove plaque, tartar, and common stains from the surfaces of the teeth. Depending on your individual needs, you should see the hygienist every six or 12 months. This can conveniently be arranged at the same time as your regular dental check-ups. You may be advised to see they hygienist more frequently, depending on your needs. Teeth whitening from a dentist or hygienist is a safe, proven and effective way to remove common stains from the teeth. It involves the use of special dental bleaching gel, which can remove even deep stains. At our practice we offer two options for teeth whitening: home whitening, or Zoom teeth whitening here in the practice. 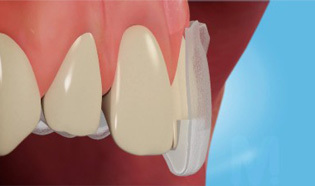 Home whitening involves using custom-made mouth trays and whitening gel, and takes approximately two weeks. You put a small amount of gel in the trays and wear them overnight for as long as your dentist prescribes. Zoom teeth whitening requires a single appointment, which typically lasts one hour. Your dentist will apply whitening gel to your teeth and use a light to activate it; all you need to do is sit back and relax whilst the gel gets to work.